Conquer America’s Old West in this unique Strategy game! 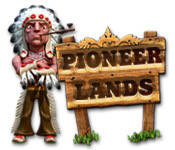 Take on tasks and completely take over the Pioneer Lands! Become one of the brave pioneers who made the long journey to explore the unknown side of America. Full of danger and adventure, your mission is to pave the way for future travelers and overcome countless obstacles! Help Jack travel to the past and rule a primitive tribe in Jack of all Tribes, a fun Time Management game!